← QotW: What’s your best “3-digit purchase price” car story? Like RAV4 sales numbers, the number of cars at Toyotafest is ever-expanding. 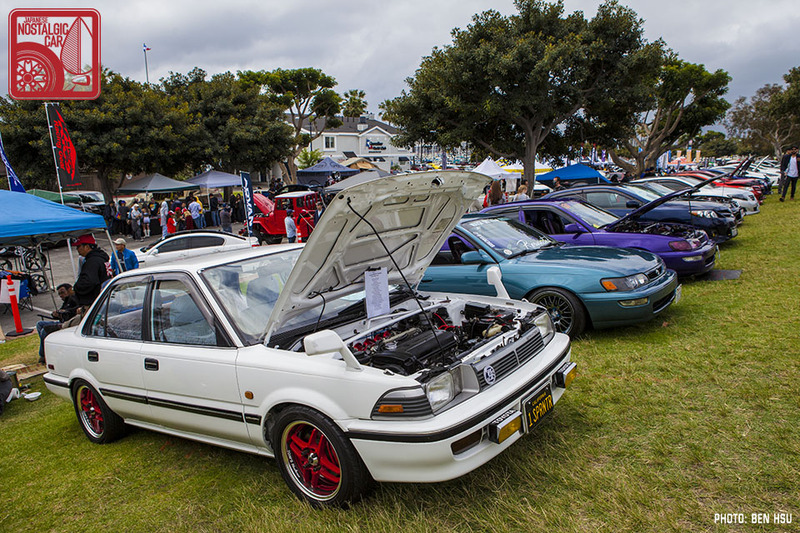 Now in its 22nd year, the country’s most comprehensive Toyota, Lexus and Scion car show has outgrown its home at the Queen Mary. This year, organizers from the Toyota Owners and Restorers Club moved to a new venue, giving the event the space to truly show off all the branches of the Toyota family tree. 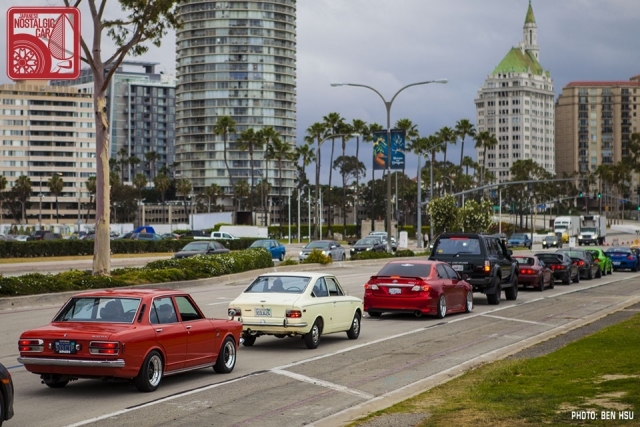 One of the most brilliant aspects of relocating the show to Marina Green Park is that every car entering the show had to cross the start/finish line of the Toyota Grand Prix of Long Beach. It’s a race that dates back to 1975 and one of the oldest continuously held races on the IndyCar circuit. It’s also one of the last to be run on public streets. 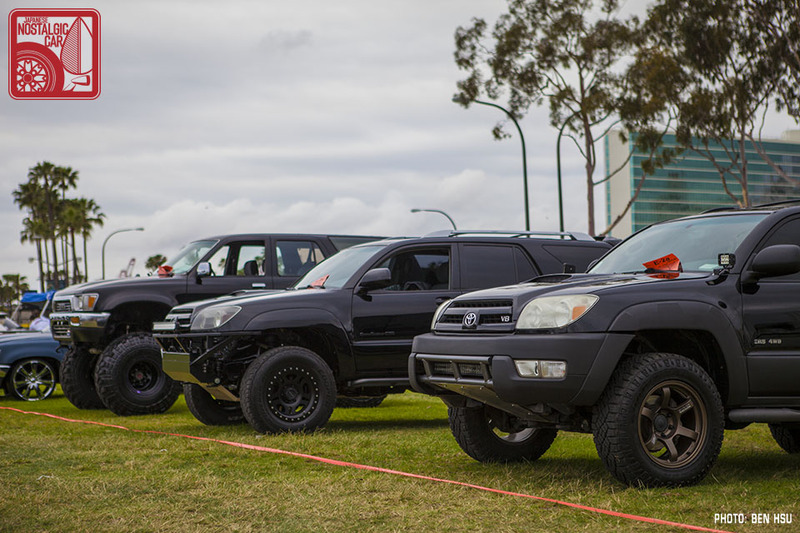 The new setting also allowed for a diversity of Toyotas never before seen at the event, and vast numbers of each kind. 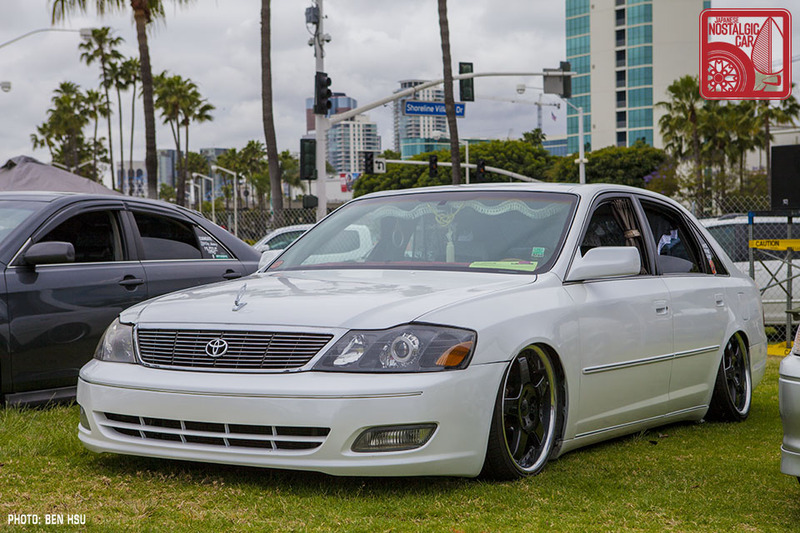 There were rows and rows of slammed Scions, jacked up 4Runners, and models occupying every stratum in between. 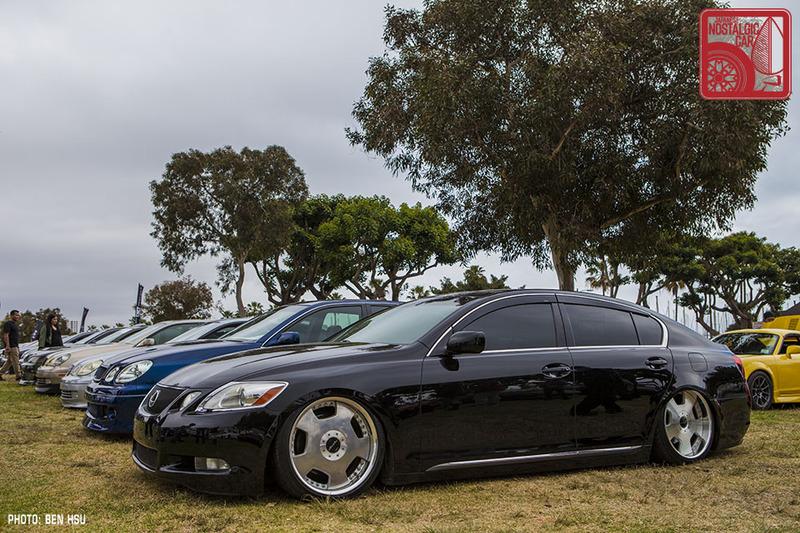 Expanded parking for the Lexus side of the family meant an armada of VIP’ed sedans and Junction Produce accessories as far as the eye could see. There were even large numbers of Camrys and Avalons, not commuter cars but all lovingly built with various themes. 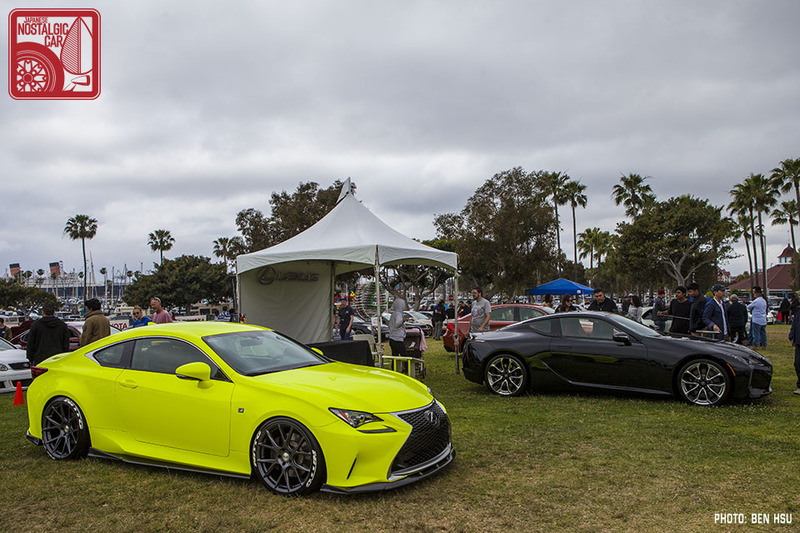 We even heard there was a huge Prius section, but dared not venture there ourselves. 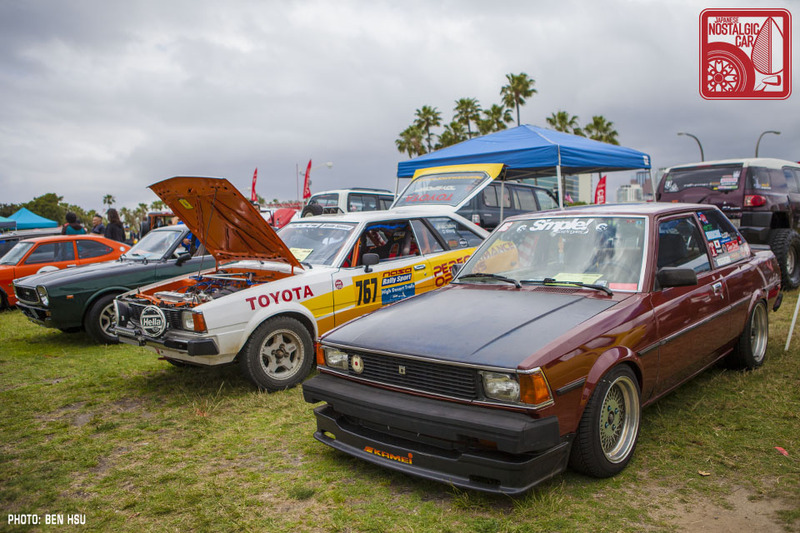 Rain clouds threatened to drench the epic gathering of Toyotas throughout the day. We heard that most other parts of SoCal got poured on, but Toyotafest miraculously escaped the rare spring storm. 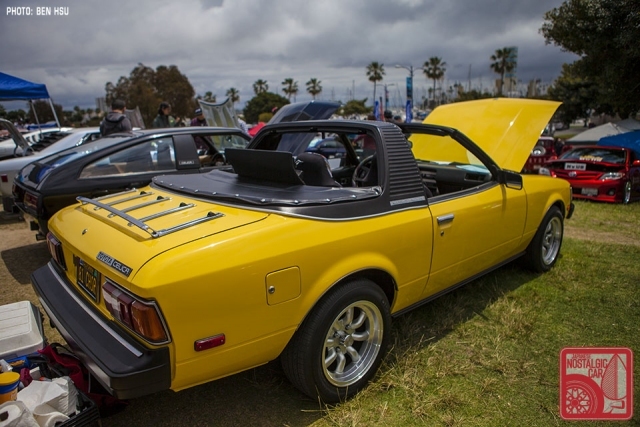 During one of the brief moments when the sun did emerge, we found ourselves standing next to a bright yellow Celica Sunchaser. The timing could not have been better. Perhaps the gods of Aichi were smiling down upon us. One of the best things about Toyotafest were the many stories to be told behind the cars. 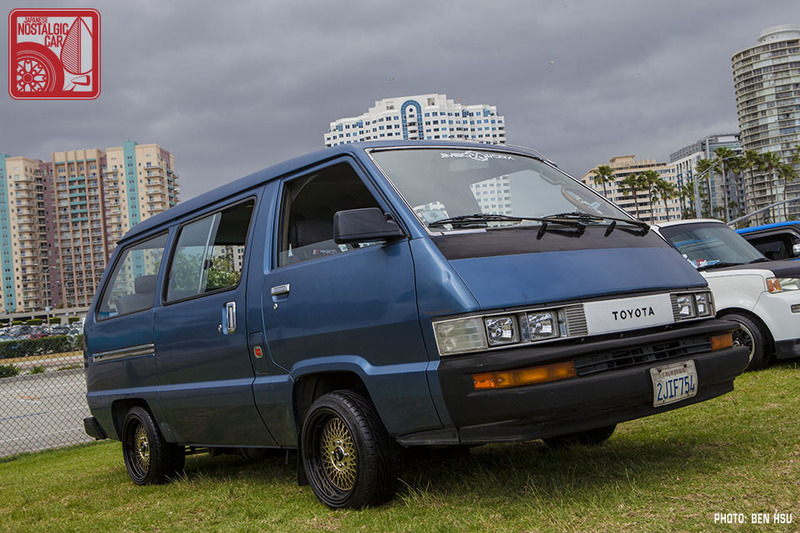 The owners of a 1988 Toyota Van restored it in memory of a dear friend who had passed away. John Accardi brought a cake to celebrate the 40th anniversary of his 1977 Celica Liftback, a car he’s owned since new and on which he finished an every-nut-and-bolt restoration a few years ago. 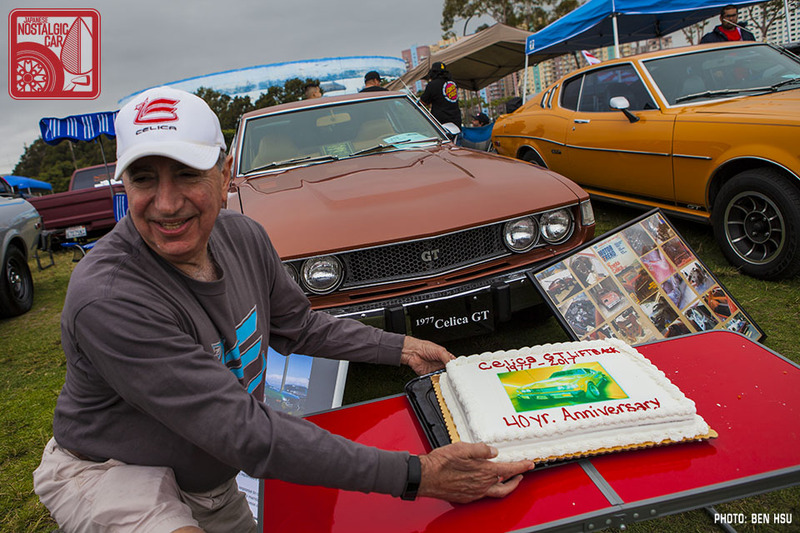 John shared the cake with fellow Celica and Toyota owners, and we can confirm that it was delicious. 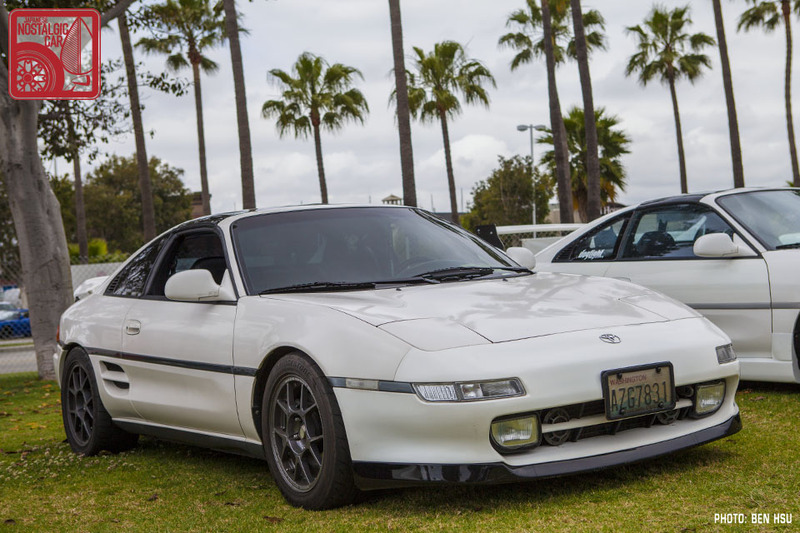 The owner of this SW20 found the car parked outdoors for five years Washington state. “It was green,” he told us, whipping out a photo of a white mid-engined Toyota covered in moss. 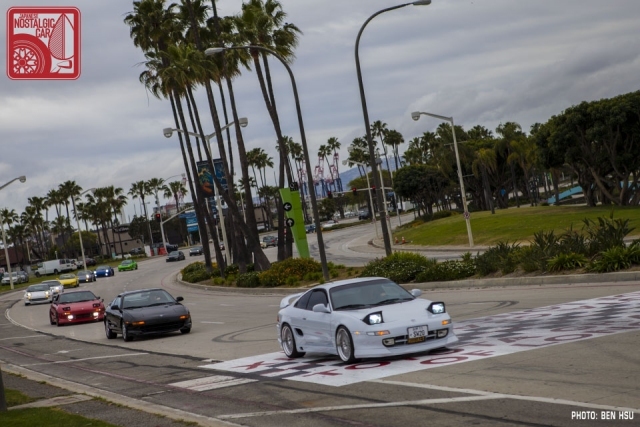 He then spent the next couple of years bringing it back to life, then drove over 1,200 miles down the west coast with a contingent of MR2 owners from Vancouver, British Columbia. We thought for sure they’d take the title of furthest traveled. 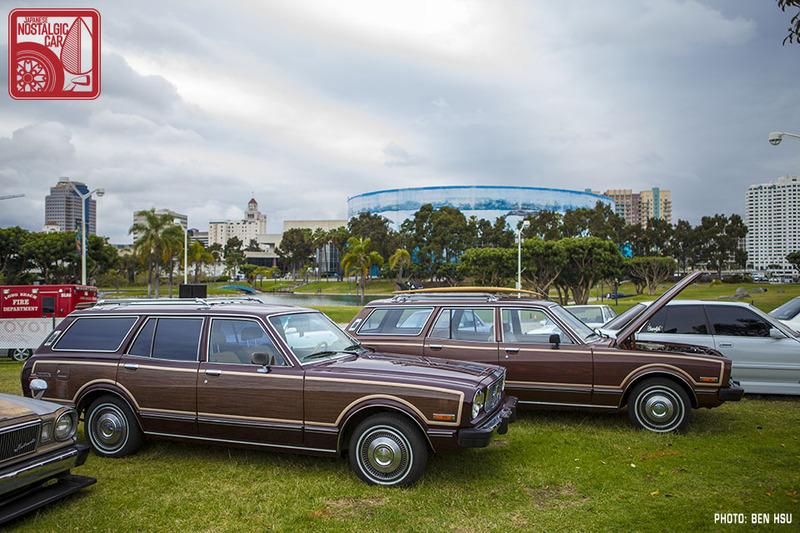 That is, until we met the owners of a MX32 Cressida Wagon, who came nearly 2,000 miles from Louisiana. 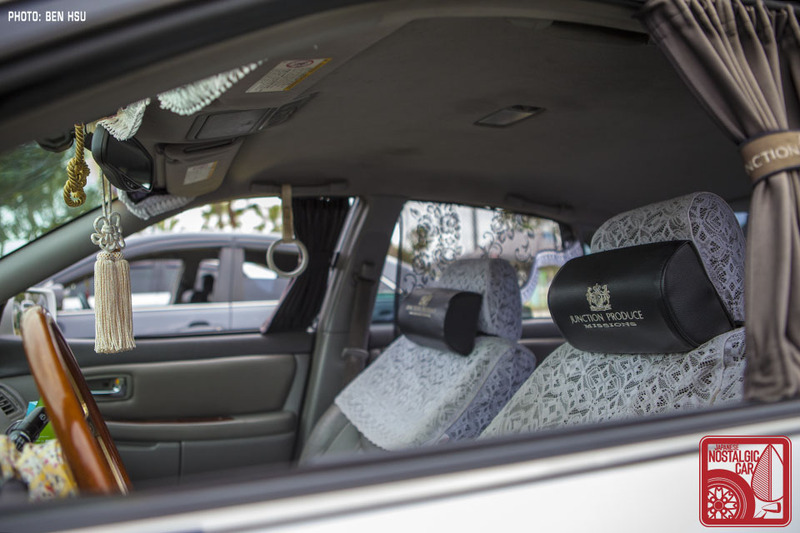 Not only that, but they were newlyweds who had come to Toyotafest for their honeymoon. The wife was a good sport. Also, they made a new friend. We also met visitors from Japan in the creators of Colin Project. The company is bringing reissues of the classic Star Shark, Focus Racing and Longchamp XR-4 to market at very affordable prices (more on this in an upcoming story). 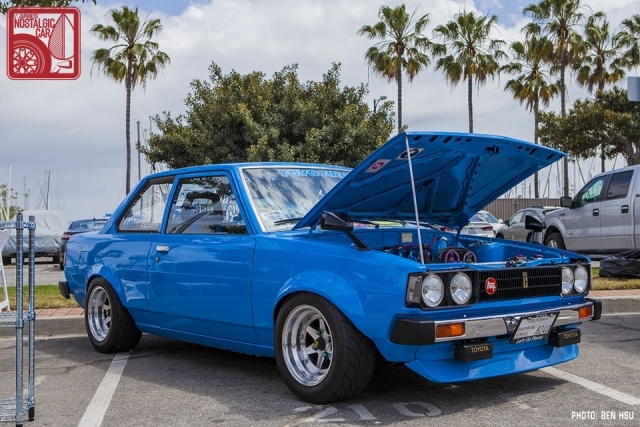 Last but not least, this year also saw a marked increase in the number and variety of the humble Corolla, It wasn’t just about the AE86 and TE27 any more, though those were very well represented. We’ll show you what we mean in upcoming installments. 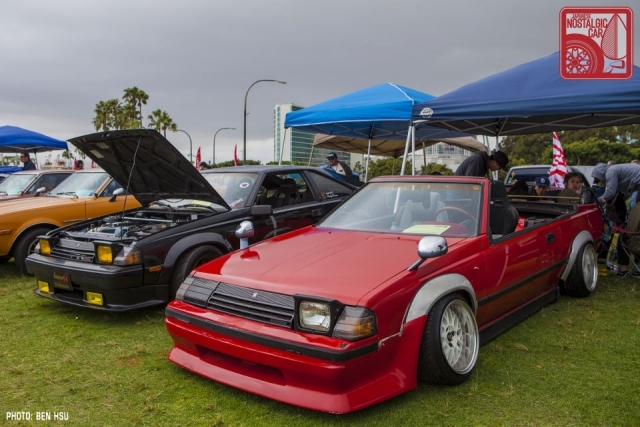 There’s a lot more to come from what was the biggest Toyotafest ever held thus far. Stay tuned. 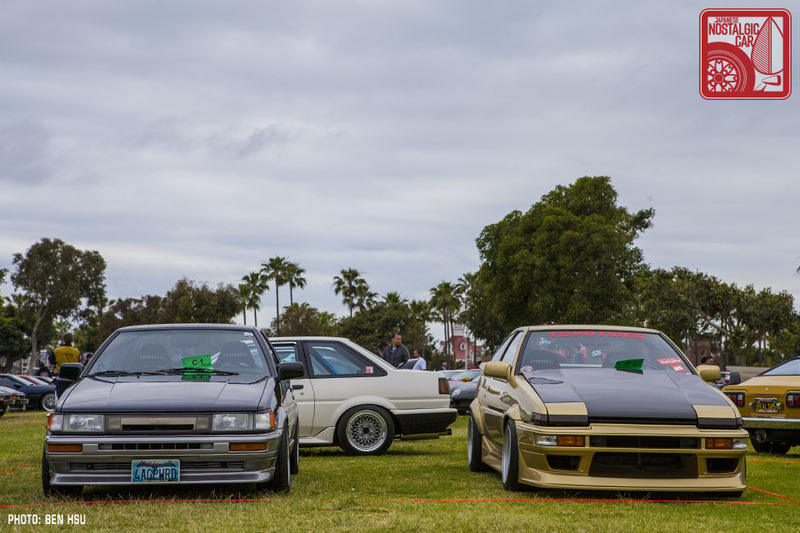 In the meantime, in case you missed it, check out our coverage from Toyotafest 2016 (Part 01, 02, 03, and 04), Toyotafest 2015 (Part 01, 02, and 03), Toyotafest 2014 (Part 01, 02, 03, 04), Toyotafest 2013 (Part 01, 02, 03, 04), Toyotafest 2012 (Part 01, 02, 03, 04), Toyotafest 2011 (Part 01, 02, 03, 04, 05), and Toyotafest 2010 (Part 01, 02, 03). 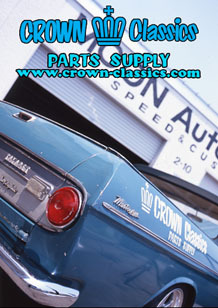 tagged: 4runner, a20, a40, a60, ae86, avalon, aw11, camry, Camry Coupe, celica, Colin Project, corolla, corolla levin, corona, cressida, e70, e90, focus racing, ke10, lexus, Lexus GS, Lexus LC, Lexus LS, Lexus RC, longchamp xr-4, mr2, s190, scion, Scion xB, star sharks, sunchaser, sw20, t80, toyota, Toyota Van, toyotafest, Toyotafest 2017, UCF20, UCF30, x30, XV10. 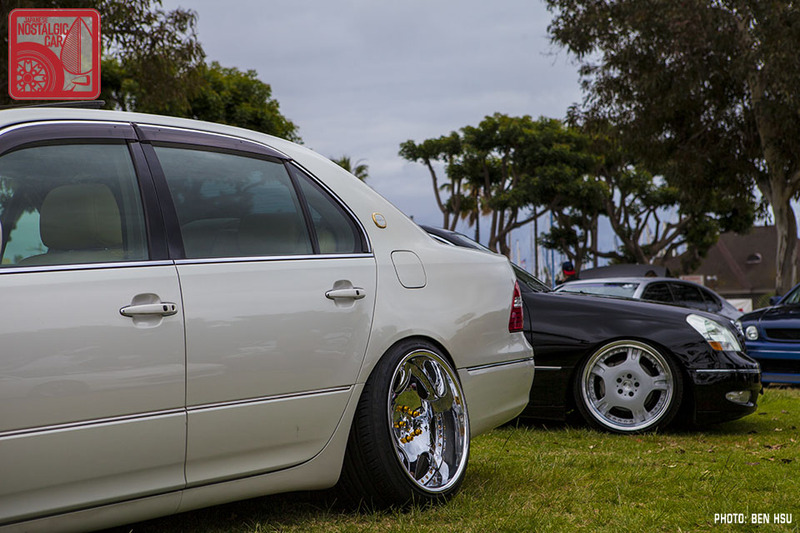 Looking forward to more, got to get back to Long Beach soon ! Awesome event. 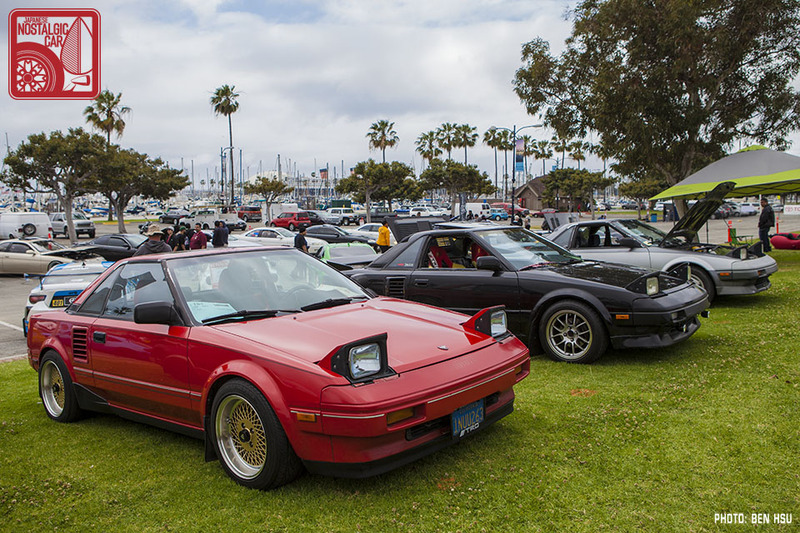 Will take my AW11 next year. JCCS needs to make the same move before I’ll attend again. Another truly world-class event but it wasn’t even fun last year it’s become so over-crowded. Dunno how many were made, but I haven’t seen one in DECADES, and that number ain’t growing! great coverage! I was coming into the LBC port and tried to catch a look at the show but alas, couldn’t see. Wish I had time to see this but maybe next year. 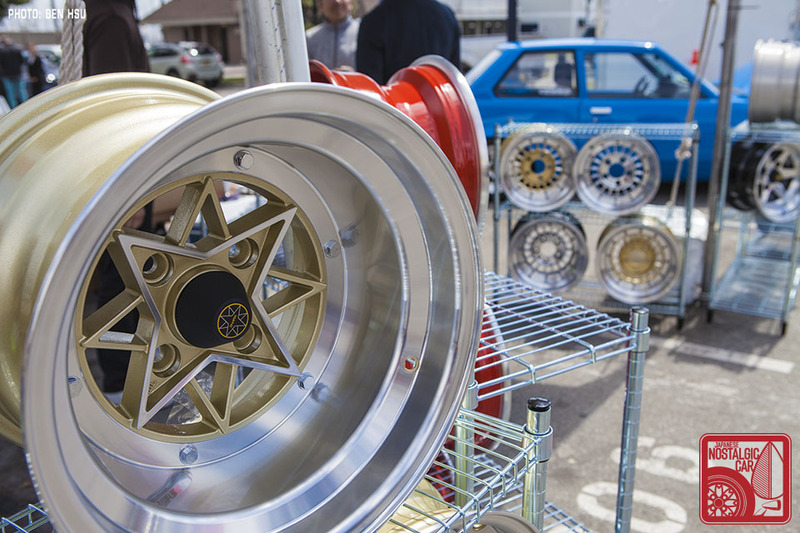 Regarding the wheels, I will comment again when you make a specific post about the Colin Project but I will say that using old rims is like dancing with the devil. They are cool for sure, but the steel/aluminum used gets weak and brittle over time. Running is risky. So I am excited to see all the new companies re-issuing the wheels. OG is cool and all, but not crashing your JNC after breaking a piece of rim off in a pot hole is a better bet. Great to see you, buddy. Stay in LA longer next time!